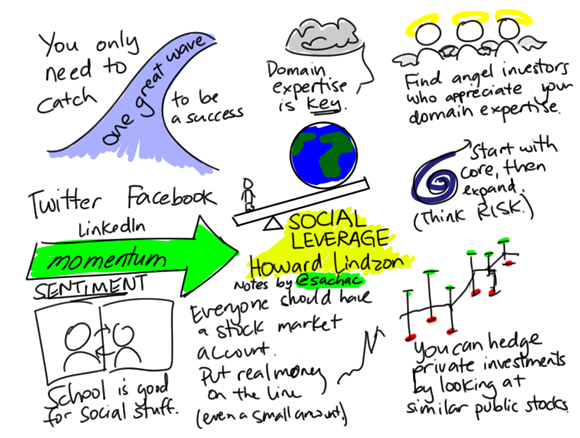 Highlights from Social Leverage talk by Howard Lindzon. 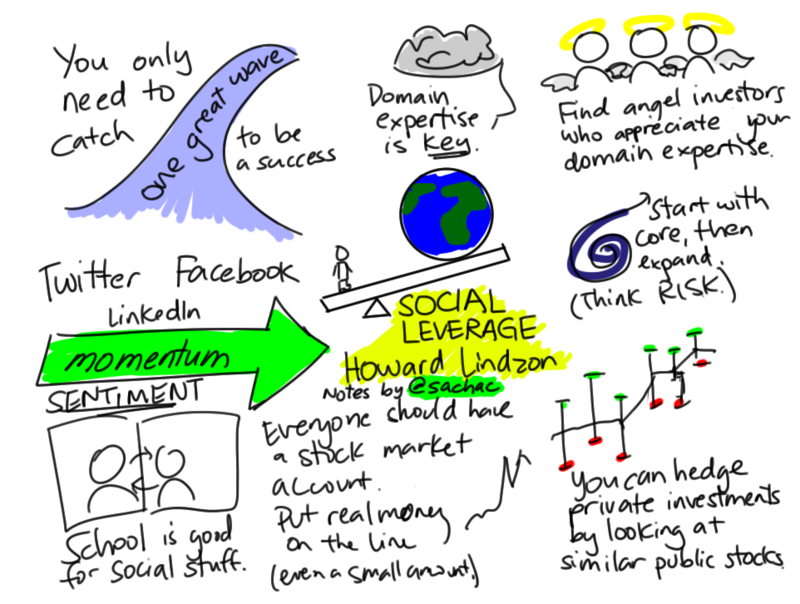 Keep an eye on the sentiment for your industry, figure out where there’s momentum, build domain expertise, and get in the game. Sketched with Autodesk Sketchbook Pro on my Lenovo X61T. 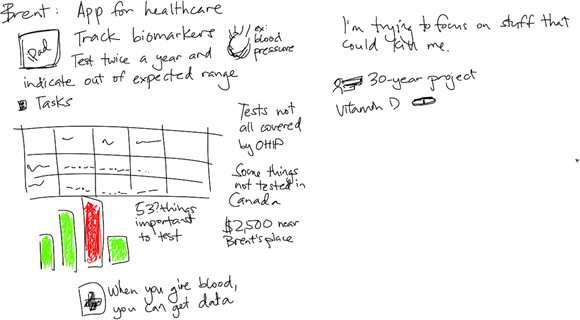 Sketchbook is my new favourite note-taking program. 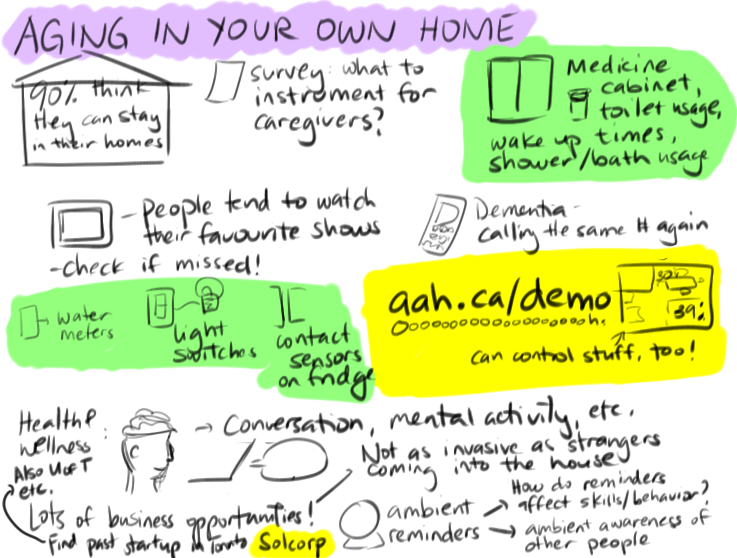 Even though it doesn’t have Microsoft Onenote’s handwriting recognition and search capabilities, it encourages me to draw more compactly and to use more colours, and it’s more reliable. See other sketchnotes if you want to explore! 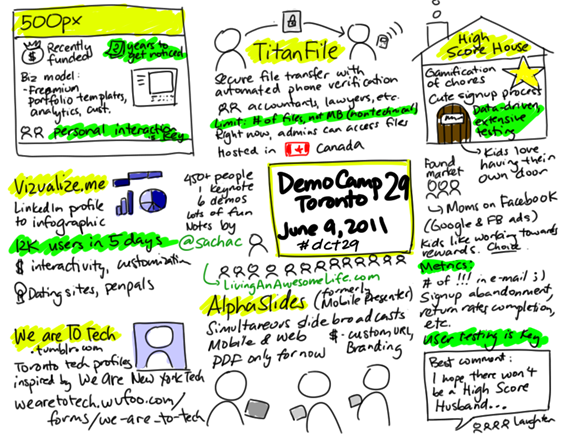 What did you think about Democamp Toronto? Have you blogged about it? Please share your thoughts and links in comments! Also check out Tom Purves’ writeup. 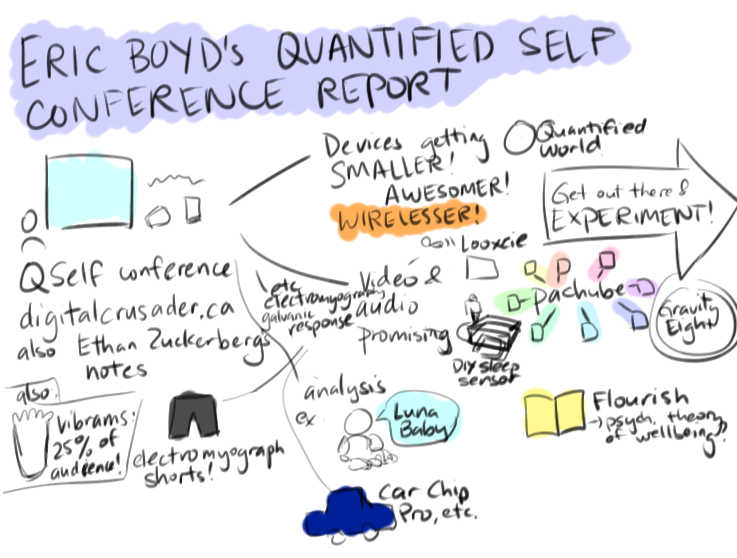 To find out about upcoming meetings, join the Quantified Self Toronto meetup group! 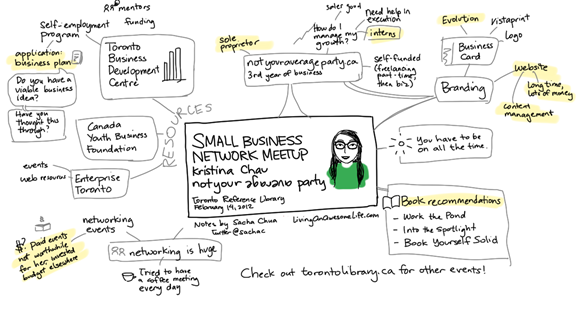 I attended the small business network meetup at the Toronto Reference Library. The librarian (Margaret Wigglesworth) explained that the Toronto Public Library started hosting these events after people requested more networking time in the business classes that the library organized. Each session was structured as a short talk and a networking discussion. There were twelve of us seated around a comfortably-sized table on the third floor of the reference library. Many were thinking about starting a business but hadn’t taken the plunge, although there was a high school senior who was the president of his school’s business club and made some money buying and selling phones through Craigslist and Kijiji. 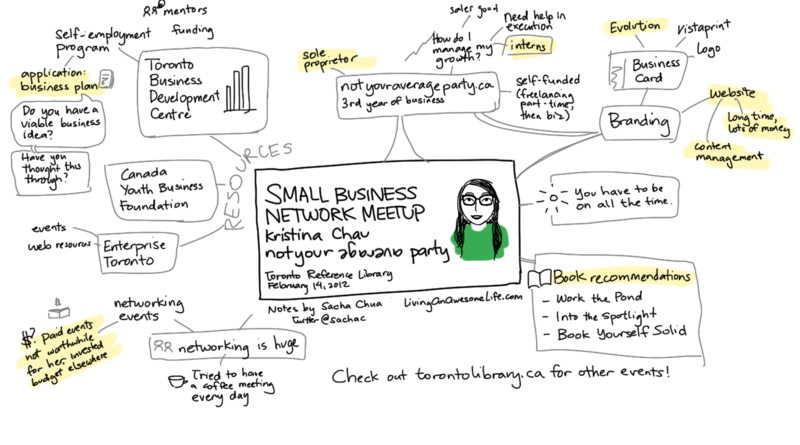 Kristina Chau (notyouraverageparty.ca, @notyouravgparty) shared her experiences in getting started. After working hard for someone else’s company, she realized that she’d rather work on her own. She did some freelance work as an event planner. At 29, she started her own event planning company. She applied to the Toronto Business Development Centre for the Although her application was denied, she found the rigor of the application process to be very helpful. She eventually funded her own company through the services she offered. Kristina shared examples of the evolution of her brand: the business card versions she went through, her current website, even the Starbucks cookie bag on which she and a friend had brainstormed the business. It looked like a lot of people were reassured by the idea that they didn’t have to get things right the first time around. Kristina also mentioned that getting her website together took a long time and a lot of investment, and people had many questions about that. In the discussion, a few people shared that they had lots of ideas they wanted to work on, but they didn’t know where to start or what to focus on. 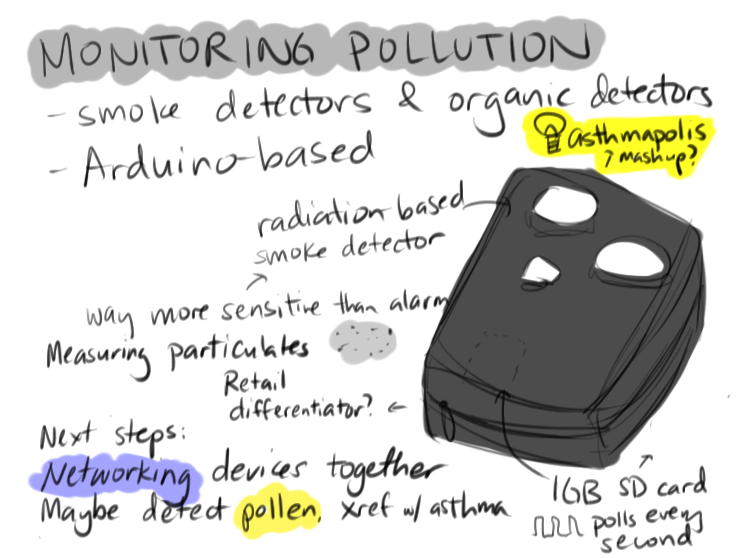 If I can figure out these micro-experiments for entrepreneurship, maybe that’s something I can help people with. I’ve read Work the Pond, the first book that Kristina recommended. It has a particularly good chapter on tag-team networking (see my linked notes), and is overall a good networking book. I’ll check out the other two books she mentioned and post my notes as well. In terms of books on entrepreneurship, Lean Startup is one of my current favourites, and I’m looking forward to trying the ideas. I’m planning to attend the next meetup on March 13. Got any favourite small business events in Toronto? I’d love to hear your recommendations! 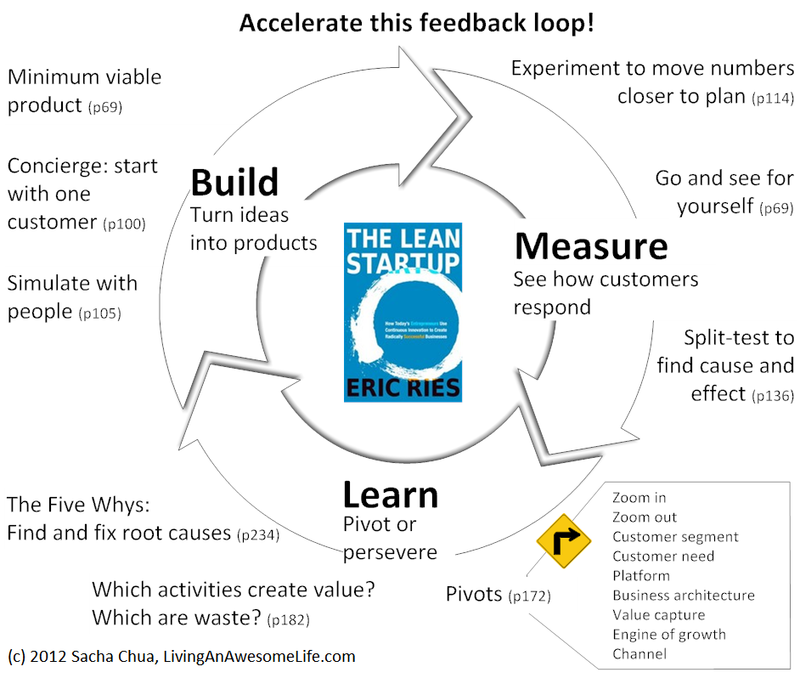 Eric Ries’ The Lean Startup book is popular, and for good reason. Ries shows people how to make the most of the Build-Measure-Learn loop whether they’re starting a snazzy technology company or creating an intrapreneurial venture within a corporation. Many people get hung up on the idea of launching with a big bang, but if you take this Lean Startup approach, you might learn a lot more by talking to actual customers and by experimenting with with your business. 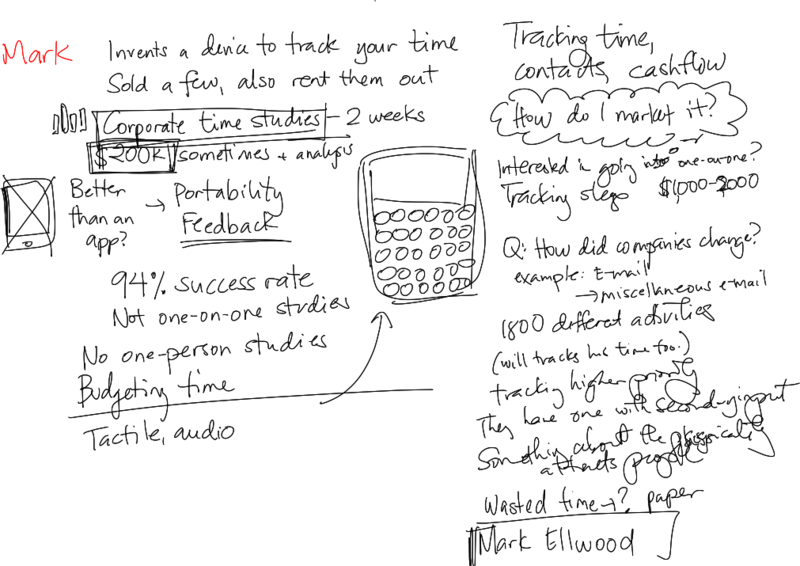 I particularly like the reminder to simulate technology with people first, as it can be tempting to procrastinate getting market feedback because your technology isn’t built yet. Do it by hand. Do it for one person at a time, if needed. There’s plenty to learn, and you don’t have to let development cycles slow you down. Ries also emphasizes the importance of pivoting, which is what you do when you realize that your original business idea was off the mark. Pivoting is about listening to customers and growing into the business they want you to be, while taking advantage of the things you’ve learned in the past and the assets you’ve already built. Sometimes you should persevere instead of getting distracted by one or two stray opinions, but other times, you should listen to what people (and your experiments!) tell you. Another key point in this book is that of accelerating this feedback loop. Get faster at building, measuring, and learning from the results. Orient your organization towards it. Practise relentless improvement until your build-measure-learn loop is fast and smooth. Then your company will be an incredible engine for learning! Whom this book is great for: Starting a company? Read this book. You’ll get lots of tips from it, and you could save lots of time, money, and frustration along the way. Interested in making things happen even within a large company? You might be able to use the build-measure-learn loop to make your day job even better, or to create scalable value outside your typical job responsibilities. What I’m learning from this book: I’m using the concierge approach to help people with Quantified Awesome, because it’s fun building something that’s tailored to the way people work and what people want to measure. My goal is to get to the point where people are happy to pay $1-5 a month for tools to help them ask and answer questions about their life using data. I’m also going to work on using the build-measure-learn approach for entrepreneurship (a meta-experiment! 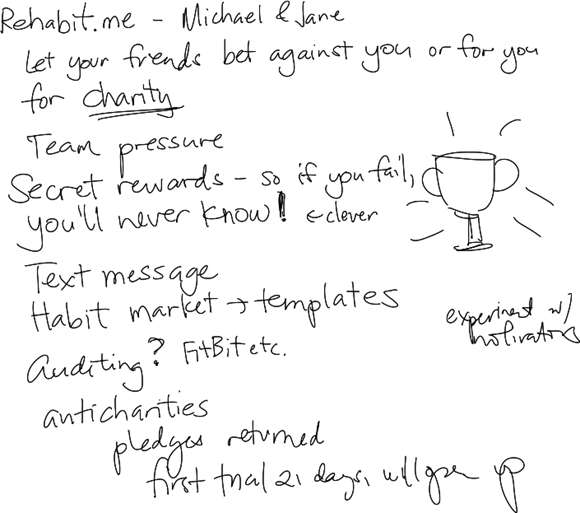 ), and using the minimum-viable-product approach to writing a book using LeanPub. 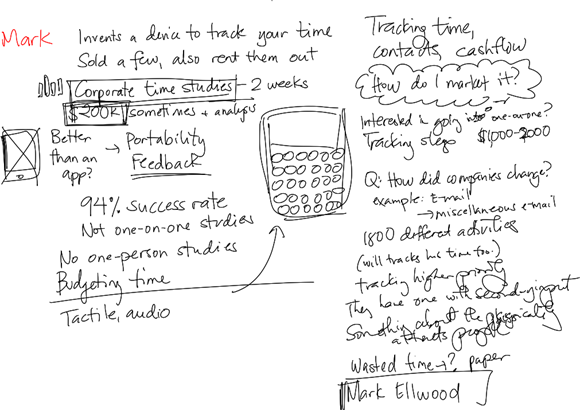 Someday I might even use split-tests – or better yet, help businesses use them to set up experiments! What do you think of this format? Do you want more detail? Less detail? More drawings? More hand-writing? More stick figures? What other books would you like me to visually summarize? I’m near one of the world’s biggest library systems, and I love learning from and sharing good books.